Good Afternoon Sweeties✨ OMG It takes me hours to think of the title for this post. It's so hard to give a proper title for my post. It's either too long or too short. 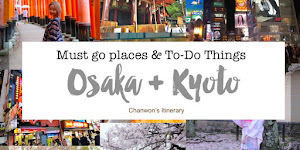 I decided to write all the details post with #FollowChanwonTo and it's more like a travel journey sort of diary post and then at the end of all these post (from my Oita post to Fukuoka post) included my Spring Flower Trip to those beautiful spot that I posted on my instagram, I will come out with a summary / itinerary kind of post like what I did previously. So it's like a summary of this whole trip so when you want to read it in detail then you can click the link back to these post. I hope it's useful and if you realise I just label and increase my sub-page on my blog. Took me hours to do that and so happy it's finally done! I hope these post can be really helpful for you too. If you haven, you can read my Oita #1 & #2 (click here) before reading this because it's all linked together. 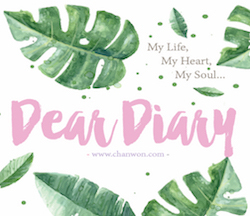 Read it whenever you feel like to because I'm sure my blog could entertain you for a bit lol. So after check out from our private onsen stay in Oita to the Fukuoka one, the next day we decided to stay as relax as possible because after this, we will need to travel across the prefecture and mostly took 2 hours (at least) to arrive to the beautiful seaside park or just to see those beautiful spring flowers. The day before we were like, okay just sleep until late morning on the next day. I'm no longer the 18 years old chanwon. So it's better giving ourself a break in each of the visit because going from one prefecture to another with luggage and check in / check out totally make us into that low battery mode lol. Our plan on the forth day of our trip including our whole day spent in the airport and all sort of transportation, we are finally able to take a little break and explore the city. Hakata is the main city in Fukuoka, not countryside at all. It just feel like a better version of Tokyo City because here is less crowded as compare to Tokyo. There are lots of office buildings and OL everywhere. I guess mostly people came here just to work because Fukuoka itself is so freaking big! You can see it from the map if compare to the other prefecture. I think most Kyushu Region is damn huge and if I really wanna explore it, it can took me more than half month just for a prefecture. That's why it's always a good thing to set your goal and theme for your trip. 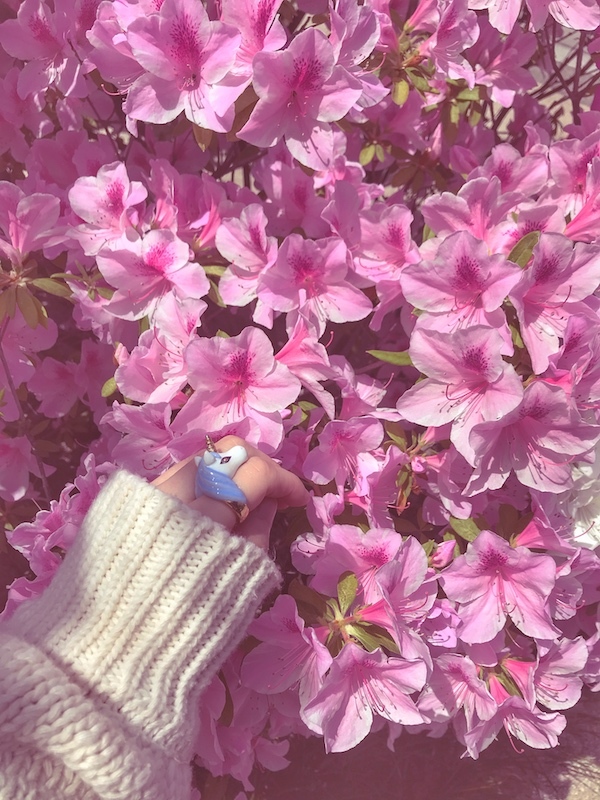 Since this time we are here for our Spring Flowers trip and wanna show all of you, Japan isn't just about Sakura, we decided to skip the crowd sakura season and planned this trip. As I mentioned earlier, we travel during the golden week in Japan which is the last week of April and the beginning first week of May. Please don't ask me whether can you see the flower in end of June or September lol. Hope this clarify your question. So our plan is no plan. I guess we can only do this in this trip because we travel for almost two week, half month for this trip lol. So syiok right but I just close my eyes and now I'm back in Malaysia. This is life 😭 Time flies when you’re having fun. Then I'm just scrolling my insta list and looking at my saved photo. 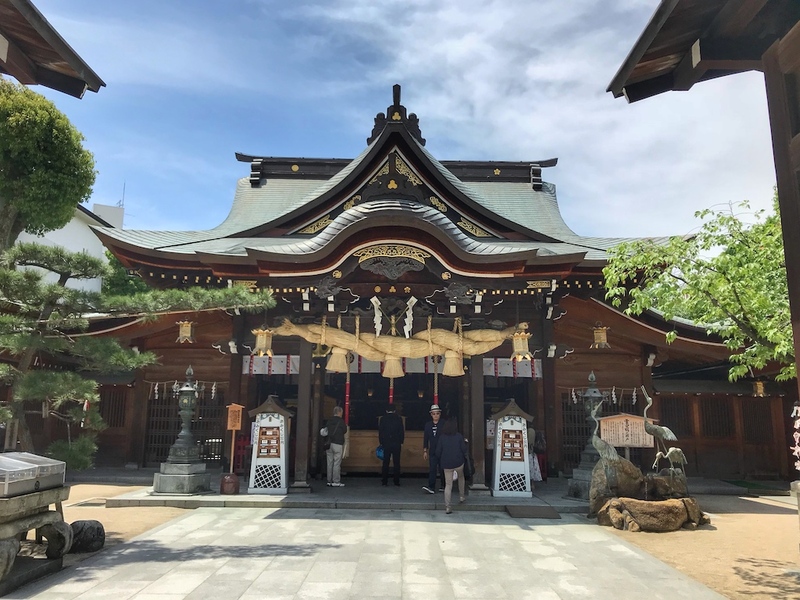 Suddenly I spot this photo so I told them, let's go to this Kushida Shrine and we are going to take our lunch at the city. 'Sure! Let's go' Everyone said. You guys know I always think of my outfit on the next day. Since it's city visit today I thought of wearing something more like an office lady. lol It's super chio and I'm so sorry to make you vomit but this is me 🤪. Limzy became my assistant of the day if you watched our insta stories and videos lol. We are having fun every morning and this is what I love the most on our trip! This is only for a special festival and I see only the top-post so when I arrived there, I didn't see anything look like the photo above before. Guess the festival ended few weeks ago or maybe just few days ago. So always see whether it's a throwback or top post. Only the most-recent one you need to know hahaa! 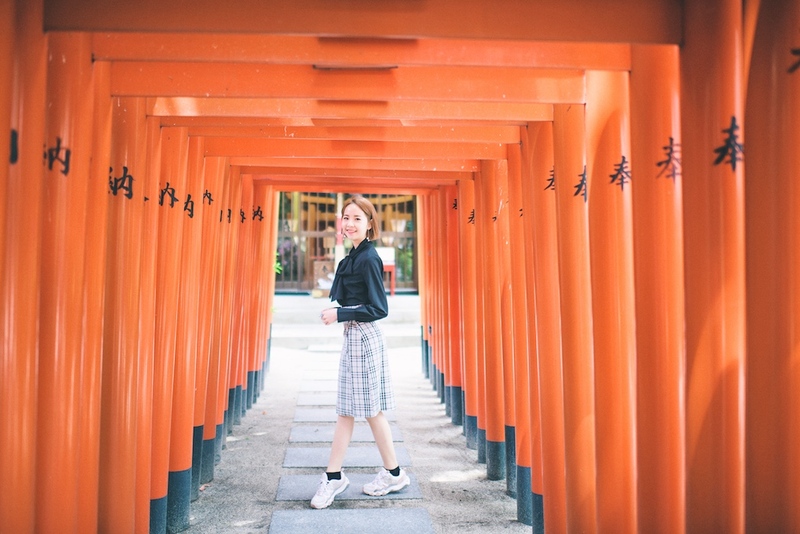 But what makes me really happy was the next thing we found a 'Fushimi Inari' alike torii, a shorter version instead of the super long one but this is not crowded at all. 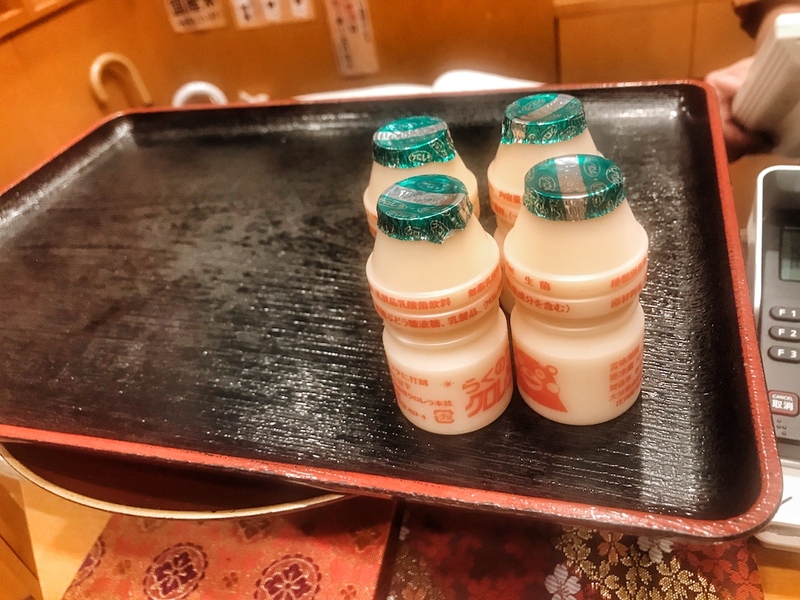 Here's the summary of things we did during the first day in the city of Fukuoka. 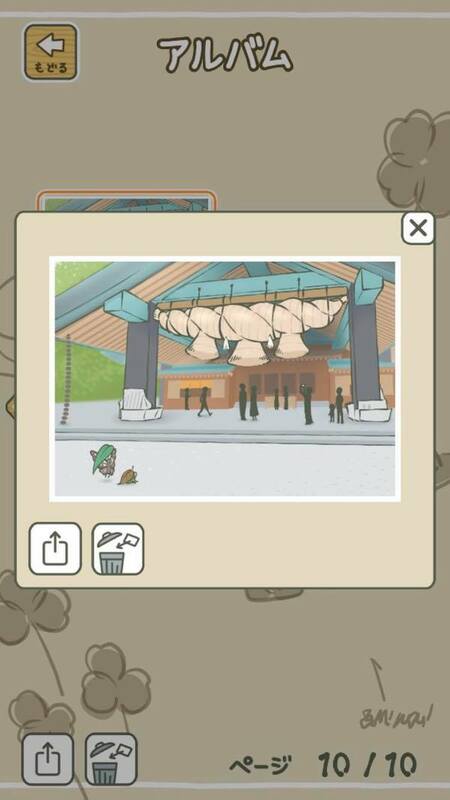 We visited the Kushida Shrine which is really photogenic and look alike with the travel frog app game that I installed on my phone lol. 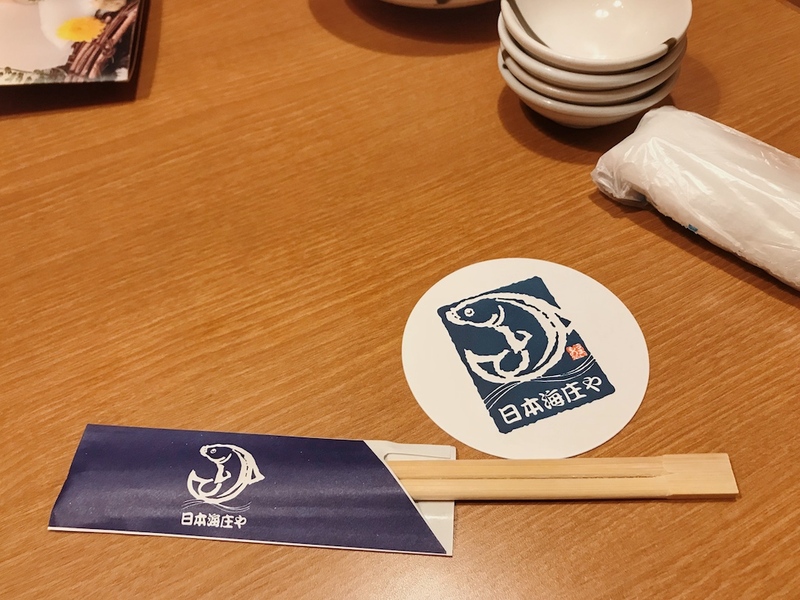 Next visited Canal City Hakata, having our lunch @Ramen Museum,Canal City Hakata & shopping for the whole day until our Sashimi dinner @日本海庄や, which is just few mins walk from the Hakata Subway Station only. Since the rest of the day in our trip we are travel to outside of the city, we confirm we don't have enough time for shopping and visit any nice restaurant here because mostly we back at 9pm and everything closed so, we gonna enjoy our shopping day today!!! Yay!!! Fukuoka isn't just famous because of its Tonkotsu ramen (豚骨ラーメン). 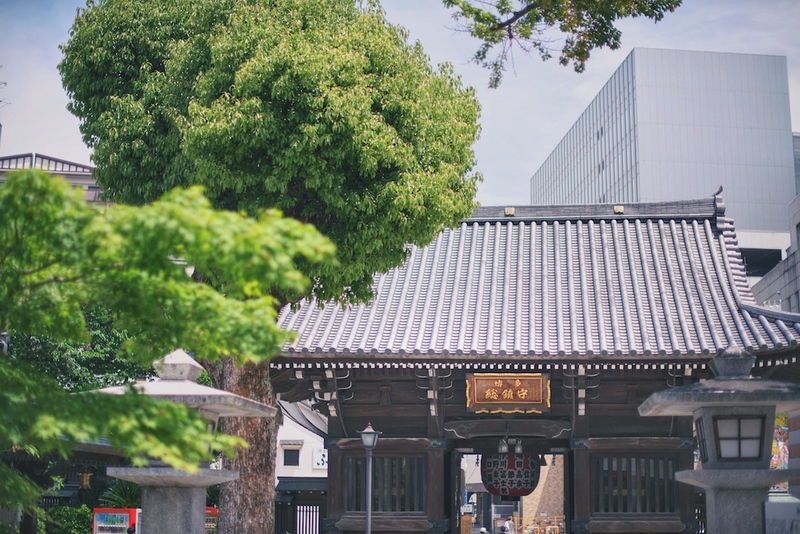 The main city is full of shopping streets, malls and office building and also lots of temples and shrine. So the first stop I will pay a visit to the nearest and most famous Shrine in Kushida. I saw a lot local actually checked in this place on their instagram and do a little research by google it out. So this shrine isn't just a normal shrine. 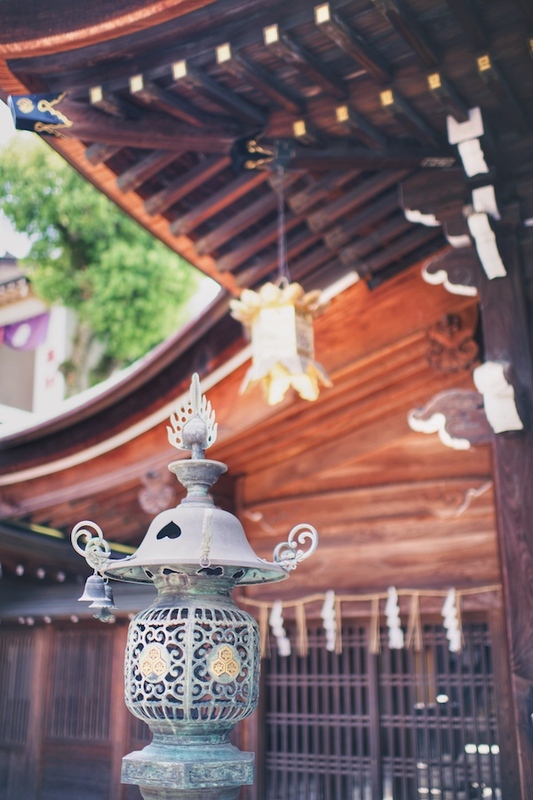 The two main and most famous summer festival which is the Hakata Gion Yamakasa and Hakata Okunchi are centered on this shrine. 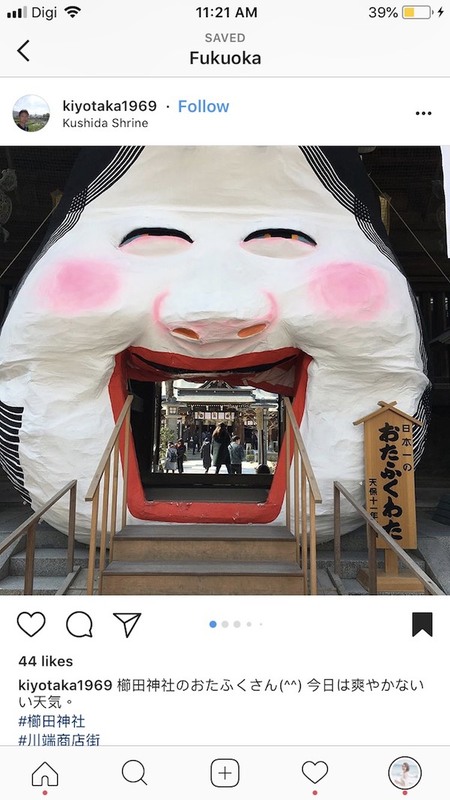 Like the photo I mentioned above, the huge mask is the biggest Otafuku mask in Japan and local here love coming here just to pray for eternal youth. So sad it's only happen in February and the festival is known as the Setsubun Taisai. 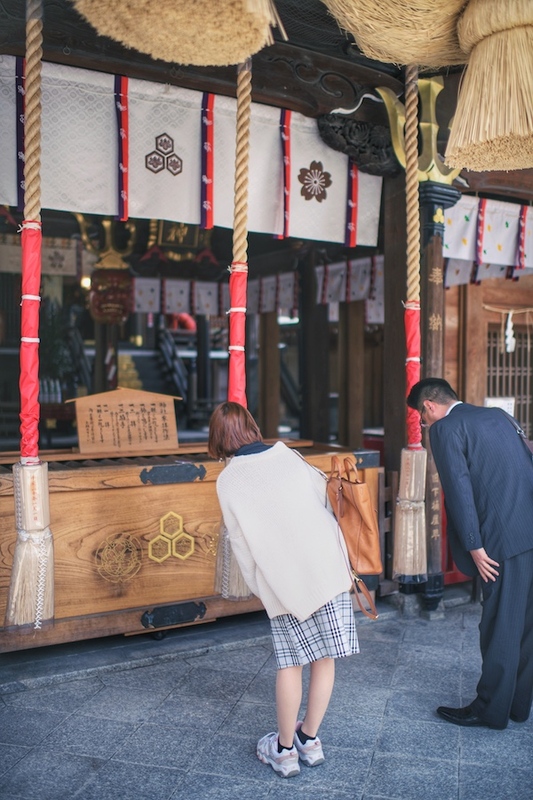 Unlike other shrine that I visited, I'm so curious about everything I saw in this shrine. 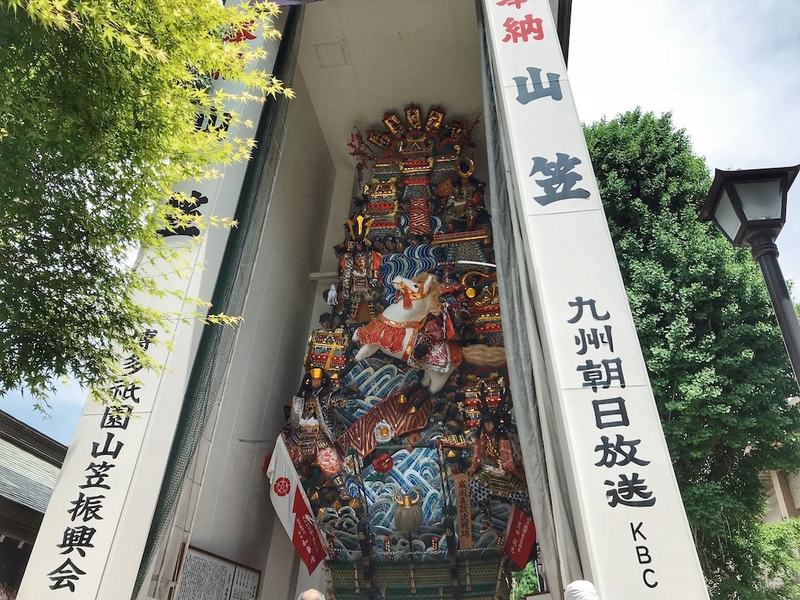 So sad it's end of the festival now😢 So when the festival is happening, they will put this biggest otabuku mask in front of Kushida Shrine's main building. If you able to pass and walk through this mask, it will brings good luck so if you happen to be around in this festival, please die die also must walk through ok?? Ps* 'otafuku' is a Japanese theatrical mask that represents a plain, plump-faced woman. So this is what you spot once you enter from the main entrance of the shrine. Seems similar and let me show you! Yes! AHAHAHHAHA I received this card from the travel frog game app and now I spot something really similar and just so real in front of me. Since it's end of Spring (almost beginning of the summer), a lot of flowers surrounding the shrine. Not sure how to pray then you can always look at how others pray first and then your turn! There are a how-to board just right in front of me and I'm just going to look at it and learn the way to pray for it. Other than that, there are some huge festival floats around the shrine and everyone was taking photo and pointing it. So here's a photo of the festival float. I'm so impressed with this. I never saw this before and it's my very first time here! They called this as 'Kazari Yamakasa' or large stationary festival floats. This is made when people want to pray for peace and wish for protection from peril. Some of the photo taken here in the Shrine. Even Shrine got so many photo spot! 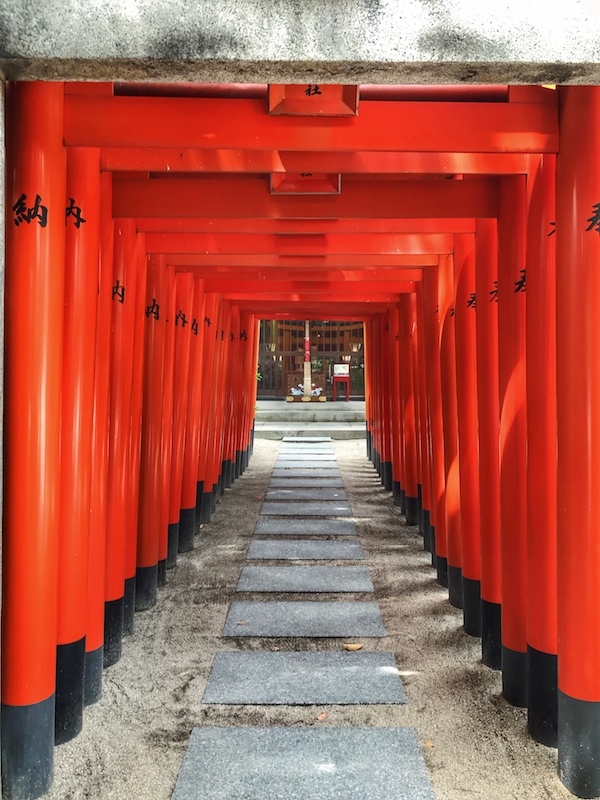 Few mins after walking around the shrine, spotted this beautiful torii here. 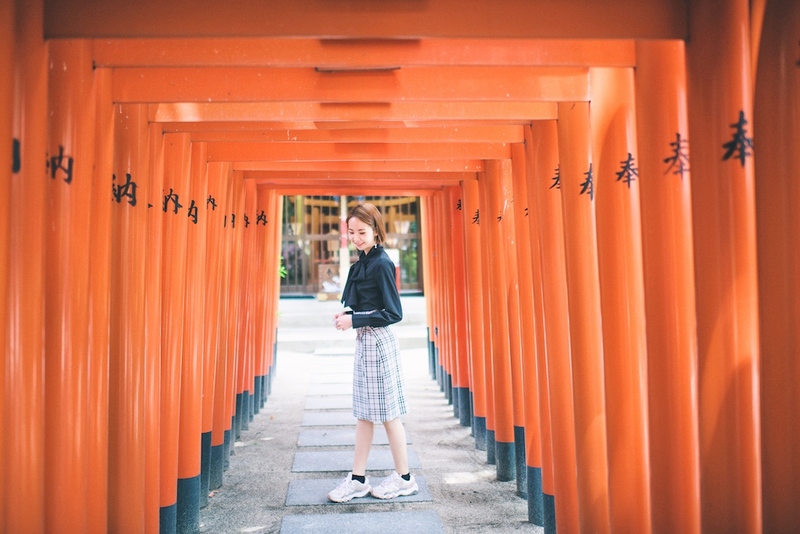 Really bumped into this place and never thought there is this shorter version of Fushimi Inari Torri lol. Photo above taken with my iPhone and now here's some photo taken with me inside. It's more pretty with me, right? 🤣 Just joking! No tourist at all and no photo bomb at all. I'm a happy girl! I'm just trying to play around and since I dressed up nicely, why not take some shoot around the walking street?! So here's the '叫我主管' OOTD shot. Thank you my Yolo team! Canal City Hakata is a large shopping and entertainment complex in Fukuoka city. 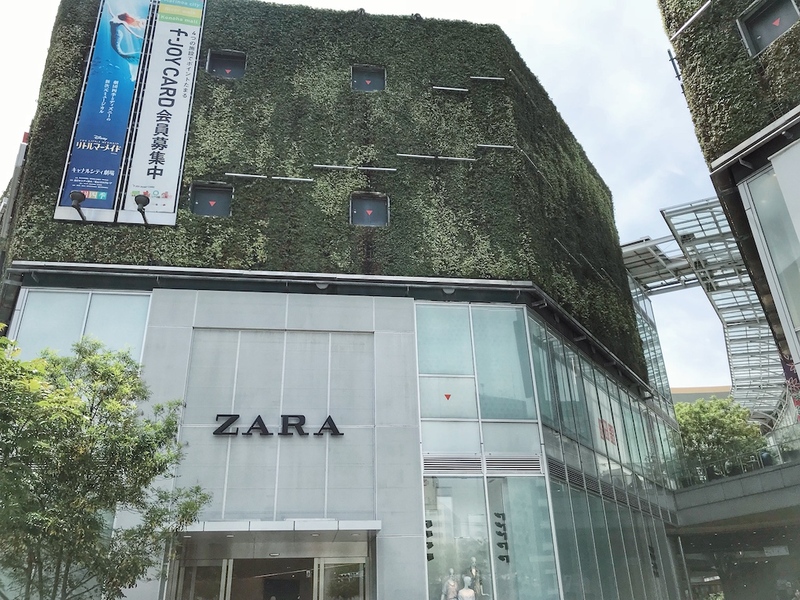 It's full of special attractions including shops, cafes, restaurants, a theater, game center, cinemas, two hotels, and the most special one is it included a canal. Just like its name. Lots of my favourite brands here and I'm holding tightly on my wallet because afraid that we spent too much on the first day in Fukuoka lol. I love shopping at Bershka in Japan, Franc Franc, GU and some of the small small shop across the walking street. 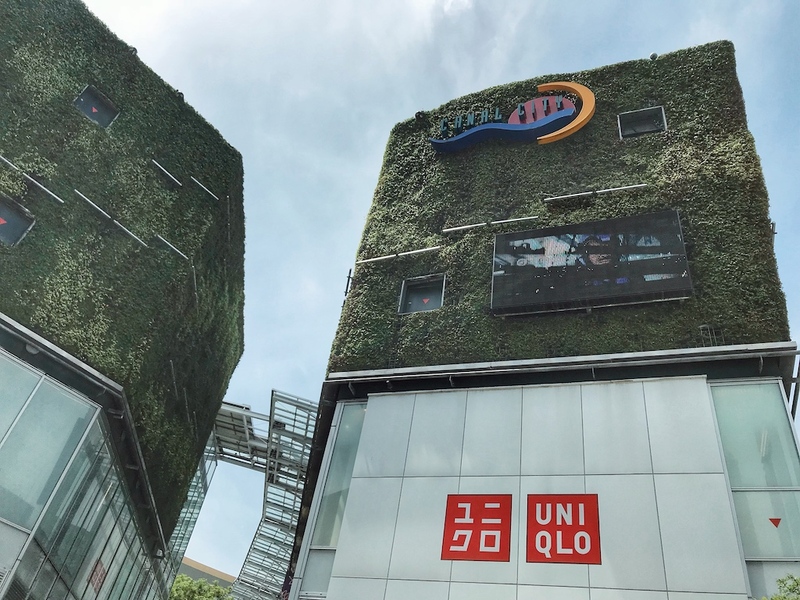 So in this shopping complex, there are lots of brands that I mentioned to you. One of the first stop will be Bershka and Franc Franc. Also, summer collection at GU Store is sooooo pretty! I didn't really take photo of that because I'm busy shopping with my girls lol. But I think the GU store I went isn't located in this shopping complex, few mins walk from here!! But let me bring you around, I took some of the photo on my phone and camera! After I took my new house's key, I'm sure I will bring empty luggage to this store and grab whatever I like to deco my house. This place selling super cute and practical homeware. Some is quite pricy but some is really reasonable and most importantly, you won't see any similar one or able to found in your home country. I always get my home deco stuff from here and they selling everything that you need in your house. Everything in very good quality and colours. Just made my day by just window shopping at here. I bought two table clocks and the clock itself look like a perfume one. So cute, wait me show you on my instagram or youtube haul later. Gina is crazy over here. I mean all of us were crazy over here so we decided to separate with each hour because we all have diff preference. HAHAHAHA Gina love flatlays so she bought a lot of spoons and those small little things. I bought mostly home deco stuff that I could put in my studio and stop myself from purchasing too much of useless items lol. There are two floors here and when I walk to the second floor I was like OMG!!! 😱😱😱😱 You probably can think of my expression right away and I desperately feel like bring it home! The middle mirror with wooden shelf one. OMG! 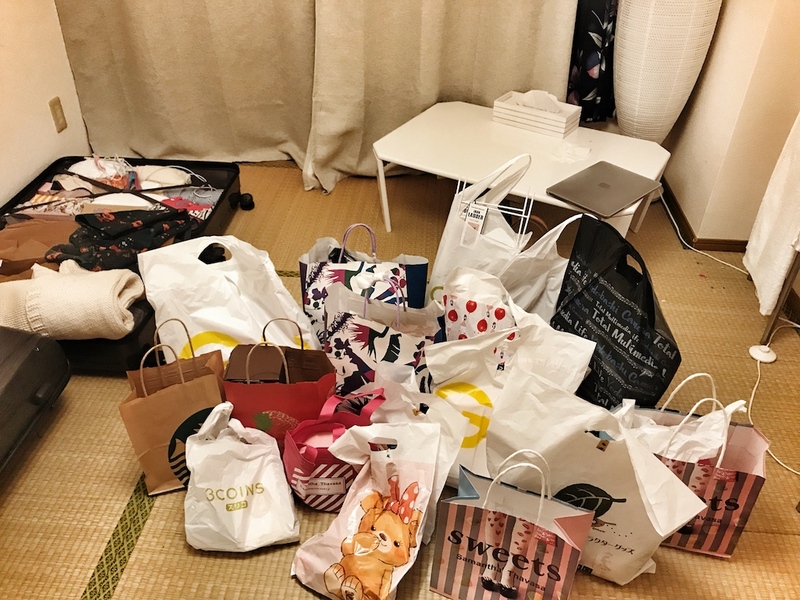 It's not really expensive too and I actually went to ask the staff whether how's the packaging but guess it's really too big some more it's just first day of our trip we will need to go back to Tokyo and spend few days there before flying back to KL. This huge thing is really hard to carry, don't wanna trouble anyone to help me on this. So I just touched it and saying my last goodbye with the shelf 😭 It's really pretty right?! I bought once a really pretty red sling back from Samantha Vega before (last year) and I never get any bag from Samantha Thavasa. So I actually accompany Gina went in to look for some beautiful homeware and desserts, then guess what!! I saw the pastel pink bag and the staff just greet me with a beautiful smile + she's really kawaii and pretty. She ask me to wear it and look at myself in front of the mirror. So I continue starring at myself in front of the mirror. Doing some sort of silly pose with my bag. Yes, MY BAG! Then turn one round and look at myself again, it can wear in 3 ways. Sling bag, clutch or just hold the little handle in the middle. Look like it could be a really pretty bag for events. After 10 mins of consideration, okay I just get it. It's so me!! okay, the color also so pretty! My favourite pastel pink so anyhow I also want to buy just that I trying hard not to lol. But I bought it around RM800-900 I forget the exactly price. It's from their latest collection that's why it's spring themed colours. Samatha Vega is much cheaper from Samantha Thavasa but both from the same company. Just it targeted diff range of consumer. One is more OL and one is much cheaper suitable for younger age group. Next, we feel really hungry and looking for some hot food. 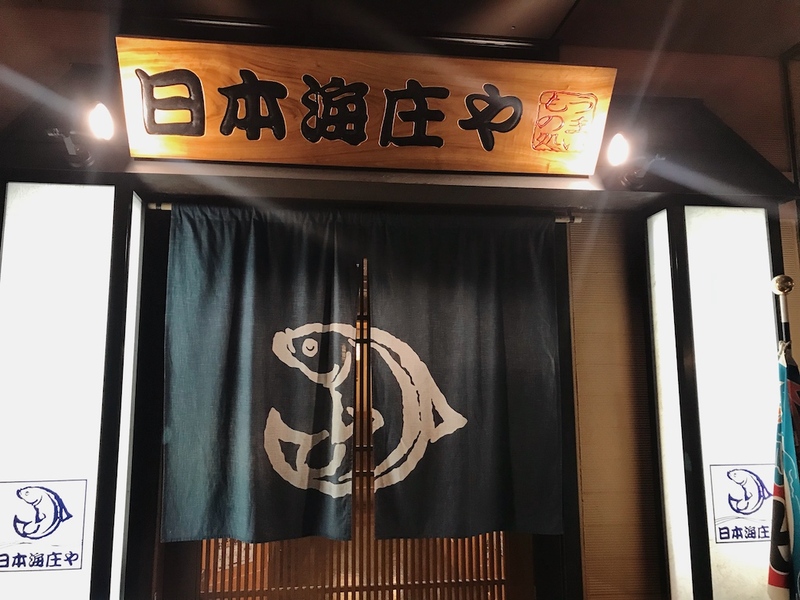 So Limzy suggest why not try on the Fukuoka Ramen since this is where the Ichiran ramen originated from. Then we just shake on our head and follow the board to the Ramen Museum located at the Canal City Hakata. Even it's located inside the Canal City Hakata but require at least 5 mins walk from the shopping place. Quite surprise with that! Unlike the Instant Ramen Museum I went to Osaka few years back (click here to see how I DIY my Instant Ramen at the Museum) By hearing the name I thought it's a museum lol. Only me get it wrongly, it's actually a whole floor full of ramen restaurants. 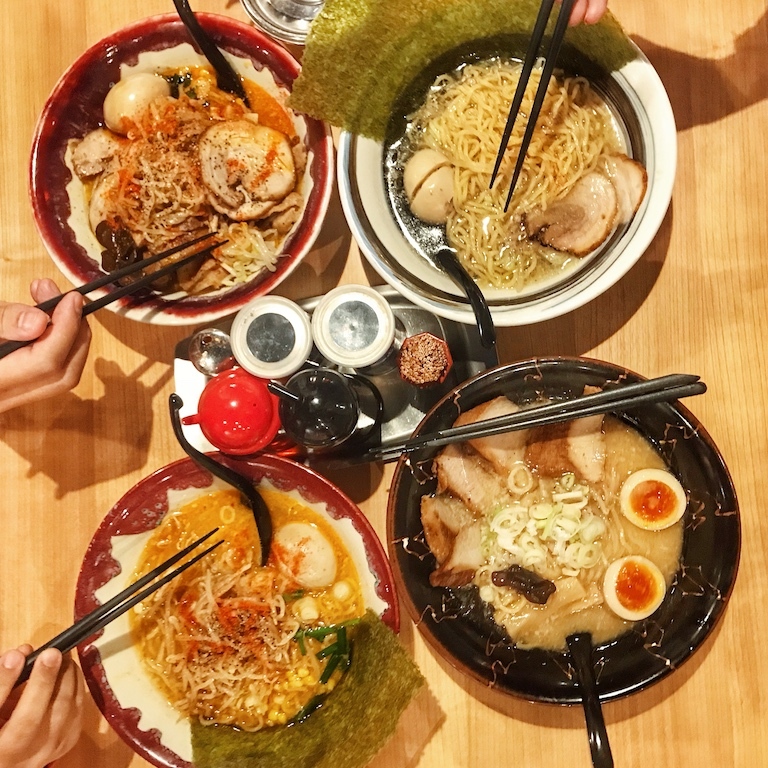 A huge variety of ramen and you can anyhow pick whatever you feel like you want to eat. All of that available in English and Korean / Mandarin Menu and as there must have been at least 6 or more different kind of small ramen restaurants. We just randomly pick the one with attractive looking ramen lol. All of us were so excited about it because it's like night market but everything in the night market is diff kind of ramen. Wahhh, sounds good! 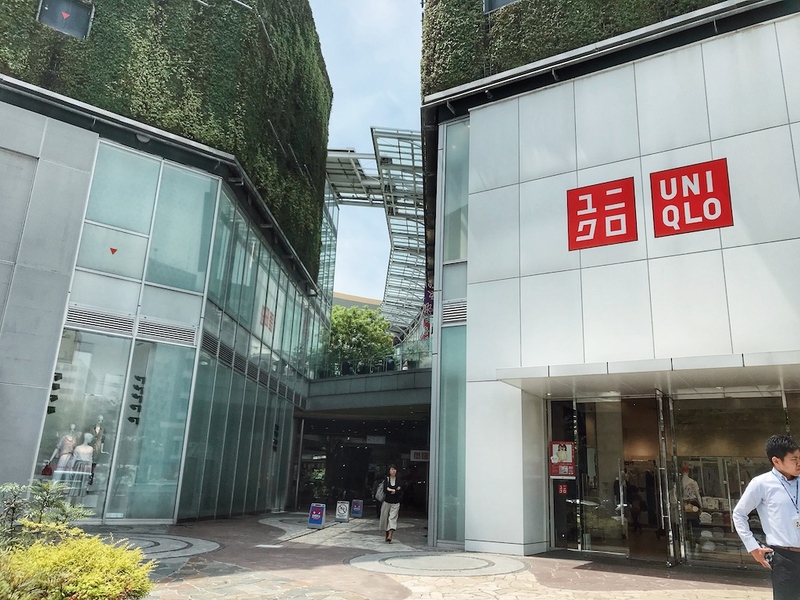 If you happen to be in Hakata, Fukuoka city and don't know what to eat and was thinking to do some window shopping / shop til drop for a whole day. Then remember to drop by here and pay a visit to Canal City Hakata. It was really HUGE! We just finish walking like half of it only then I give up decided to take a rest because leg too pain lol. 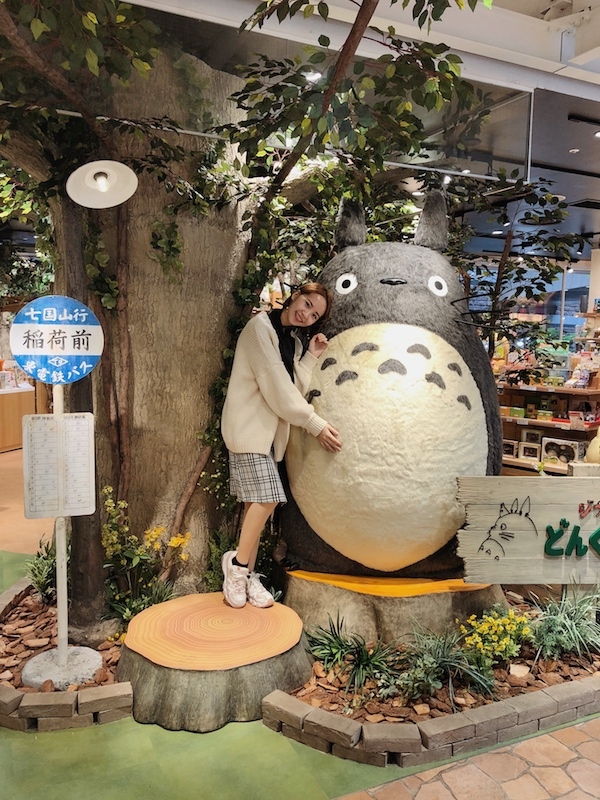 I dunno why the whole trip I spot Totoro everywhere in both Fukuoka and Oita. 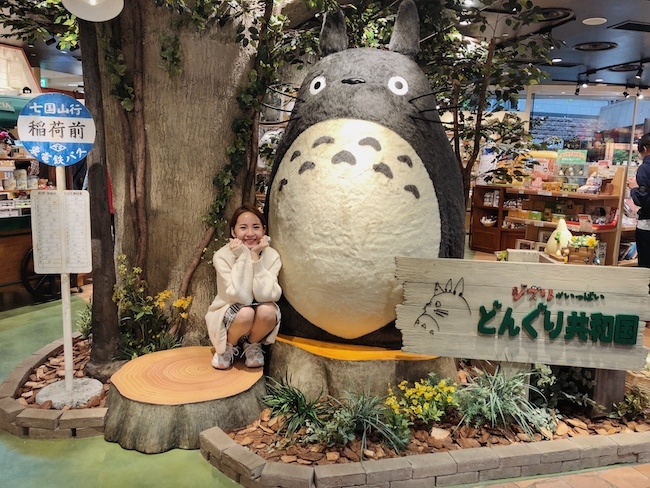 So here's a super big store for totoro lover. Located around the Canal City Hakata too. 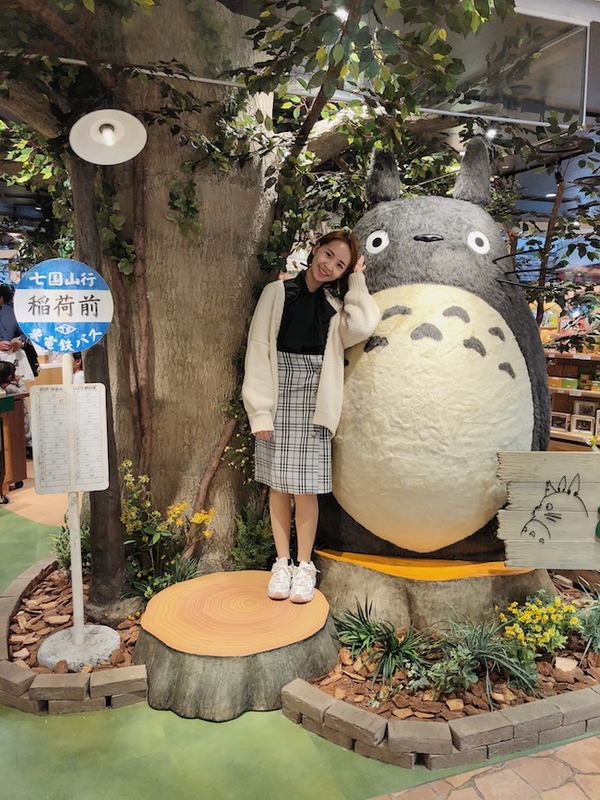 I bought my first Totoro and you guys can spot it on my next coming post. I bring it along with me every place I went during my trip lol. Also bought some souvenir for my friends. Here's some random shots we took in the city of Fukuoka. Really random because we just think of taking a rest here after a long and exhausted walk lol. Then my yolo took his camera out of his bag and took these photo. Was thinking what to eat for dinner and suddenly my friend, Vinny from Korea sent me some of her recommendation. She suggested this for me because she told me that this place is really famous on their Korea site's recommendations. So I took her recommendation and visit this sashimi place. 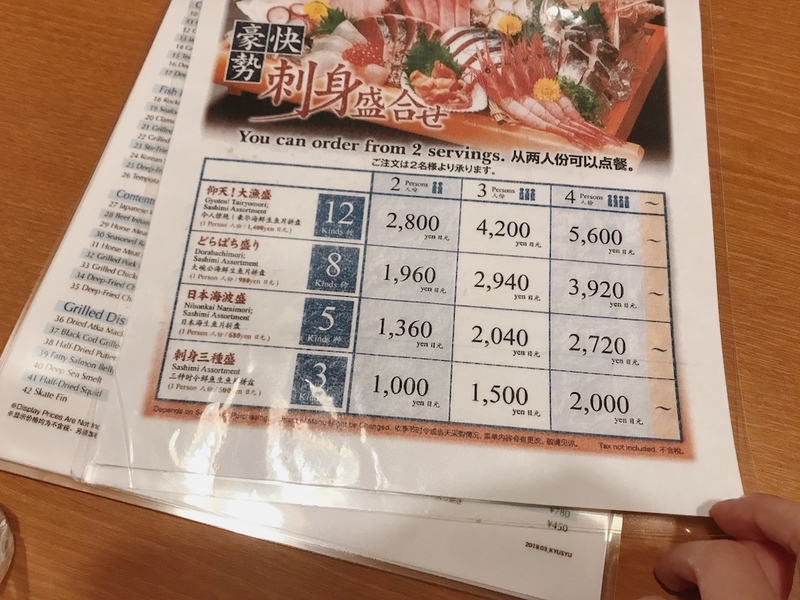 The sashimi is so fresh and yummy but the biggest highlight is the price. 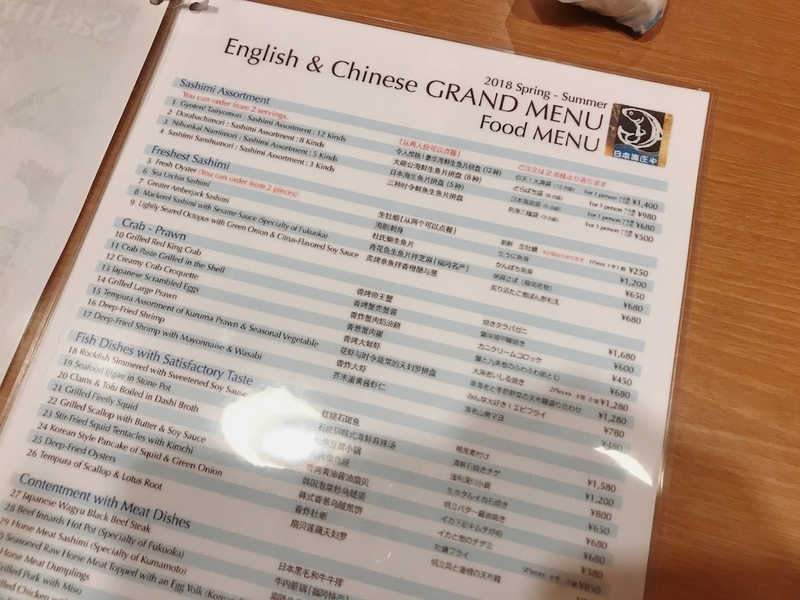 It's very reasonable and the price listed out on the English Menu! You can check the check in places on instagram. 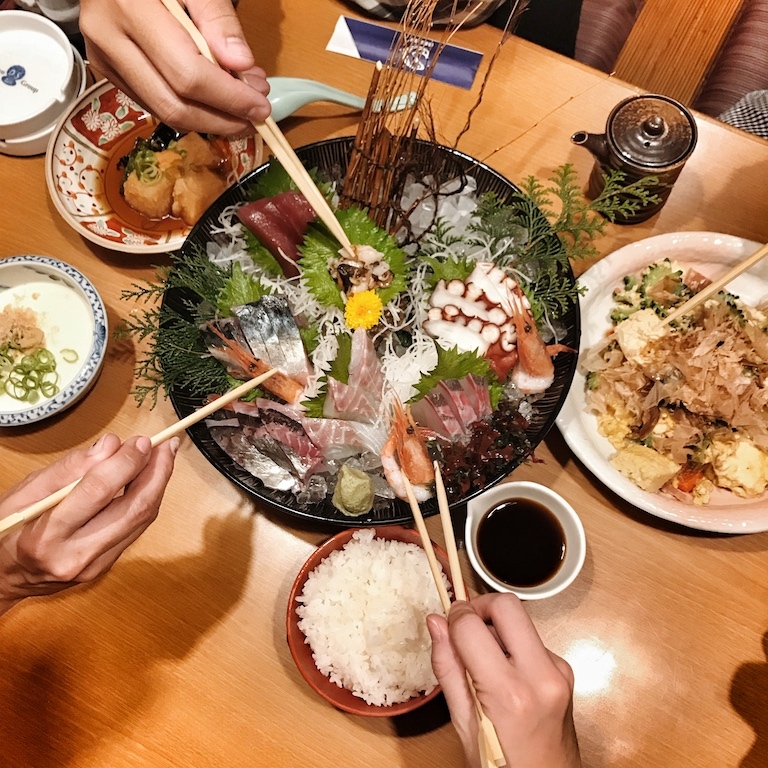 A lot of people visit this place saying that it's cheap and the sashimi is so tasty! Thanks Vinny for the recommendation. Look at the price and later on look at the presentation of the dish!! OMG! We ordered for 3 pax one because Limzy don't eat Sashimi. The side dishes and main one also look sooooo good. I film it in my vlog and forgot to take photo of it. Stay tuned on my youtube channel! I normally don't like to go to those highlight restaurant or top recommendations restaurant because most of the time it's crowded and over-rated but this one I tell you, worth to try. No matter its food presentation or the food itself, it's worth and really reasonable. Compare with those expectations sashimi I had in Malaysia, this is much cheaper and double of the taste. So damn good and fresh. We had a really great time during our dinner here (after spending most of the day shopping in Hakata). So after paying for our bill, they even got us the local drink. It taste like Yakult and I love it! Here's our total damage. Our shopping haul! First day in Fukuoka. All of us rarely spend like this in our home country but when we are oversea, we just can't control lol. I feel very good shopping with my girls and luckily the only male Yeezen didi didn't feel too bored. If Smelly come I guess he will always join us because he love shopping with me, just he never buy. I'm the only who always force him to buy but he love seeing me being so excited over those cute stuff I found and wearing it for him to see. HAHAHAHAAH I dare only to put this on my blog because I know he confirm won't read my super long travel post. Last time he always read my blog because my blog is so emotional one ( 6 years ago ). Then ever since then we talk to each other every night for the past 8 years, he knew everything happen during the trip and once I back from the trip, we will have our pillow talk together with my phone. I will show him all the photo & videos we took and tell him some story. I think it might be because of that, he started to be okay to be on the screen like appear on my stories and taking photo with me. Last time he always hate to be on the screen and being really low profile but after watching back all the videos and photo, he became someone like me who love taking crazy photo and video + making memories together. Posted this photo on my insta too! Thank you for making your time for me and reading my travel post. I hope it somehow make your day better and making you smile. That's all for today and see you on my next post. Love, xoxo. I went to Oita before arrived in Fukuoka during this trip.